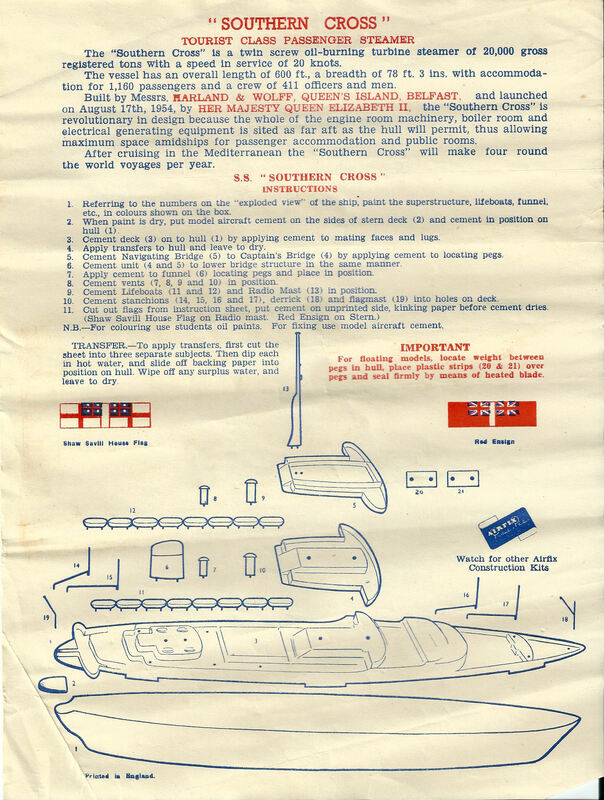 Vintage Airfix are very excited to have acquired this very rare kit. 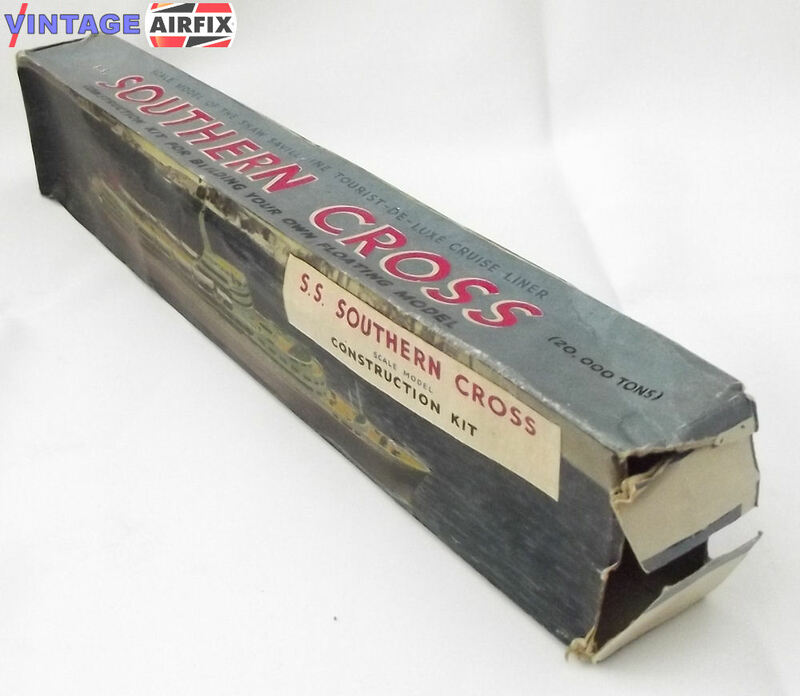 It has a piece missing (flagmast part 19) and the box is a little tatty. 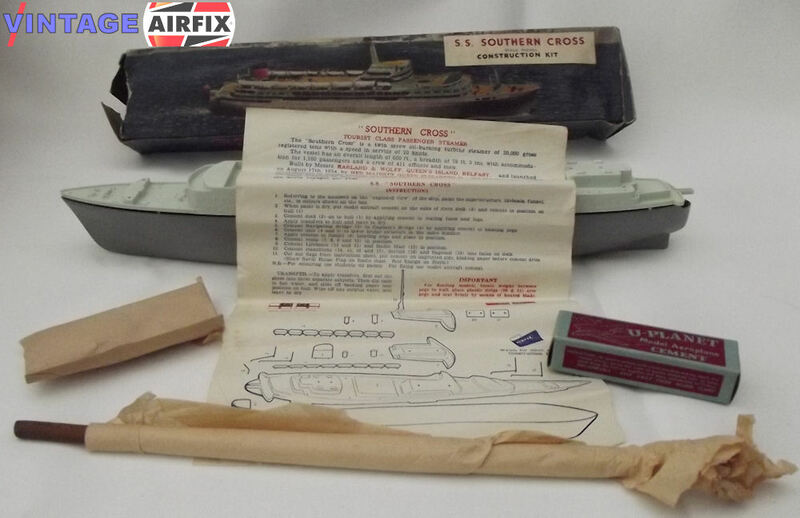 However, the original metal weight rod and the still boxed glue are included. Please examine the images of this very rare kit before purchasing. 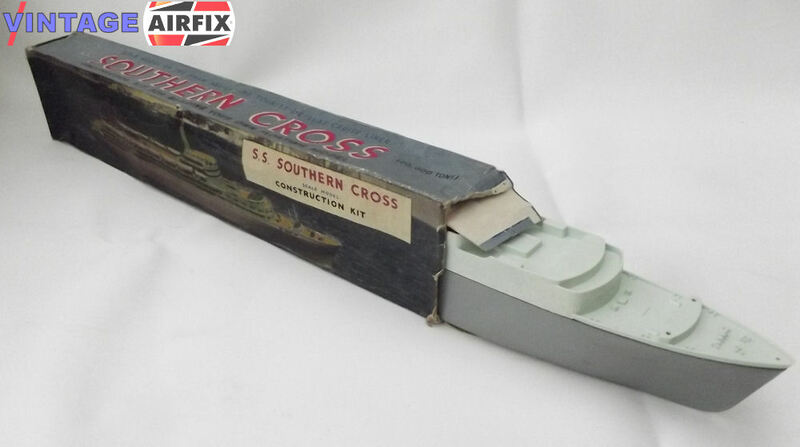 "The Autumn 1958 Construction Kits flyer was the last catalogue to list the Ferguson Tractor and the Southern Cross, another legendary kit released in tandem with a third party and intended as a promotional item. 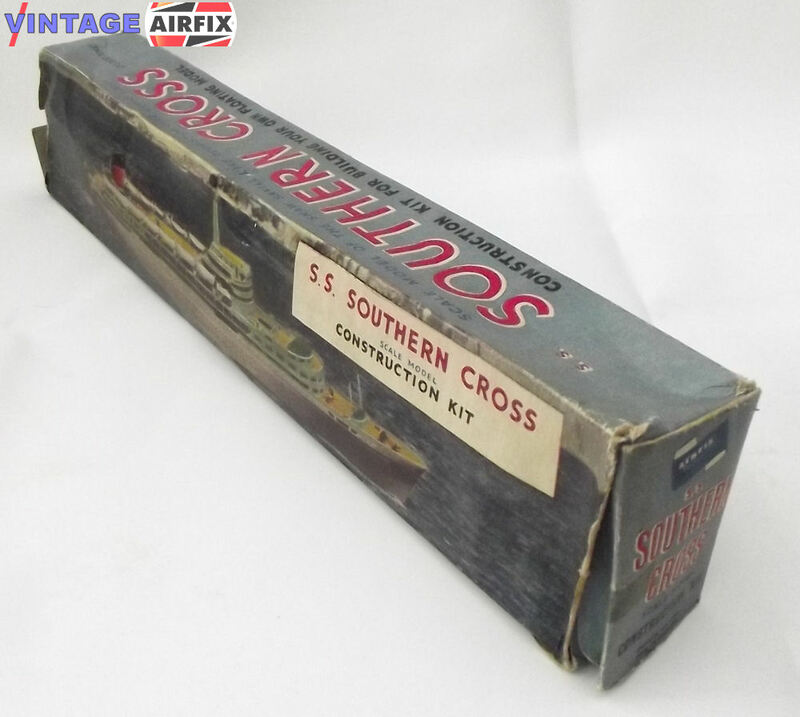 The Southern Cross was built in Belfast by Harland and Wolff in 1955 for a new round-the-world passenger service of the Shaw Savill Line."